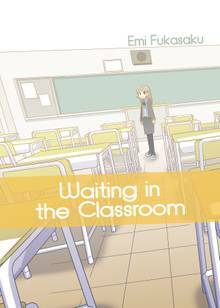 [Free Books] Waiting in the Classroom｜MANGA.CLUB｜Read Free Official Manga Online! Everything is surely connected, isn’t it? For Hoshino, life after graduation would mean not being able to see his teacher Ms Tsukioka again, even if she is just a simulation—or is she? If Ms. Tsukioka is a real person and actually exists, does Hoshino have the courage to find her and express his feelings to her? Waiting in the Classroom is the extraordinary story of an unordinary school, a teacher that only appears when the students are sleeping, and an ordinary boy in search of a deeper connection. This was a sweet romantic manga that depicts & plays with the perception we get when we feel infatuated with someone. Wonderful!! I would love to see more of this. A very cute and fluffy read. The whole dream teacher idea is a little confusing at first, but the ending helps pull the idea together. I like that the 'dream' teacher and 'real' teacher seem to be connected in the end. It'd be nice if she remembered this student and could start teaching as her real self. I Cast My Mantle To The Air.